On a recent trip to Paris I had the opportunity to visit the Musee de Quai Branly, a magnificent museum dedicated to the art and culture of the world’s Indigenous people. The museum includes the most significant presentation of Indigenous Australian artworks held overseas, the Australian Indigenous Art Commission (AIAC). This amazing project, which has been viewed by millions, was created through a partnership between government funding (through the Australia Council) and private philanthropy from the Harold Mitchell Foundation. It is one of the most impressive examples of cultural philanthropy in recent times. Private contributions to the arts and culture are a growth area. Among the most notable new developments are David Walsh’s Museum of Old and New Art (MONA) in Hobart; Tony and Maureen Wheeler’s contribution- to the Wheeler Centre for Books and Ideas in Melbourne, and Simon and Catriona Mordant’s $15 million donation to the Museum of Contemporary Art in Sydney. These are prominent examples of a trend. AbaF’s 2010 survey of private sector support for the arts revealed that in 2008-9 donations to the arts topped $111 million. In 2001-2, that figure was $47 million. That’s an increase of 137 per cent over less than a decade. Giving to the arts has continued to rise – even when the economic downturn might have been expected to have an impact. Our survey reveals that philanthropy does not have to be in the millions of dollars to make a big difference. Consider the Tasmanian Symphony Orchestra, which set up a patrons program from scratch in 2003. Back then it was doubted whether the orchestra’s subscriber base and the state’s small population could sustain such a program. In its first year, the program raised $13,000, which has gradually risen, year by year, and reached $131,000 by 2008. In 2009 the TSO established a foundation, which has raised a substantial amount in donations and pledges. The TSO has found that running a successful patrons program not only is a source of valuable revenue, it also provides new ways of building ongoing relationships with supporters that bring them closer to the orchestra. A successful donations program can make a big difference to your financial position. However, getting to success takes time. Whether you are an individual artist or a cultural organisation, donors will give only if they have a relationship with you. Most donors like to know what their money is ‘doing’, and how their contribution is making a difference. Although it tends to be the biggest donations that receive media attention, giving is not just for the rich. In recent years, many people of more modest incomes have supported artists whose work they value through gifts. Friends and supporters of artists often give to AbaF’s Australia Cultural Fund (ACF), a unique facility that makes it easy to contribute tax-deductible gifts to the arts. Recently AbaF attained a significant milestone, reaching a total of $6 million in grants paid to artists, many of whom are in the early stages of their career or are developing grassroots cultural organisations. We currently have over 100 artists of all disciplines and artforms registered, including musicians and film makers, chamber music groups and theatre makers, singers, conductors, writers and more. Many of these artists appear on our website at www.abaf.org.au/acf, where donors can easily make donations online. Given the growing popularity of cultural philanthropy, I am delighted that the Macquarie Group Foundation has agreed to support the administration of AbaF’s Australia Cultural Fund for the next three years. Foundation head Julie White has shown great leadership in facilitating meaningful contribution from Macquarie resources and staff to the community and AbaF is proud to be associated with their success. The Macquarie Group Foundation – the philanthropic arm of Macquarie Group – has been in partnership with AbaF since 2002. AbaF and Foundation will work together to ensure that cultural philanthropy continues to grow, especially for individual artists and small cultural groups. 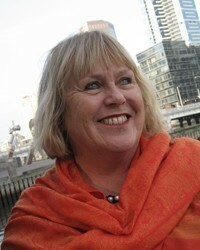 If you would like to know more about how to benefit from the surge in cultural philanthropy visit www.abaf.org.au.